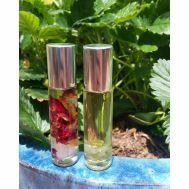 Minimum quantity for ""Self Love" Oil by My Beautiful Moon 10ml (uncertified)" is 1.00. Minimum quantity for ""Stillness" Oil by My Beautiful Moon 10ml (uncertified)" is 1.00. PLEASE NOTE: The eKoo range of products is a PRE-ORDER line. If you add these items to the shopping cart they will be delivered to you the following week.